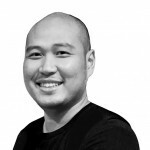 Yonav graduated as Bachelor of Architecture from Parahyangan Catholic University (2002), Bandung, Indonesia and Master of Science specialised in Architecture, Urbanism and Building Sciences from Delft University of Technology, The Netherlands (2005). Afterward, he led a team designing Masterplan for a New Campus of Gunadarma University where he also serving as a lecturer of Architectural Design Studio since 2005. Later on, in 2009, he became a head of Planning and Project Division in Department of Planning and Facility Management of Gunadarma University which responsible for the formulation and implementation of Future Campus Master Plan. In 2011, together with Adjie and Ajiv he founded PT KIND Indonesia and currently, along with several other projects, he is the Project Director of the development of a 1st winning-prize National Design Competition, Masjid Sriwijaya Palembang, the largest mosque in Indonesia which up on completion.